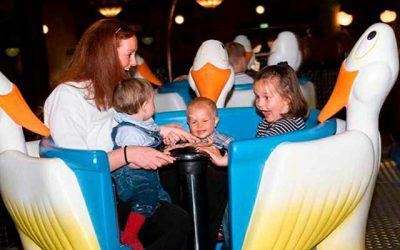 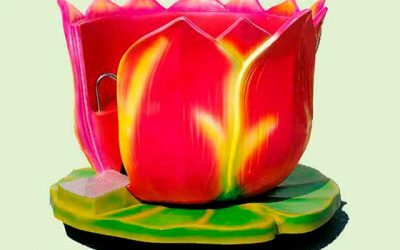 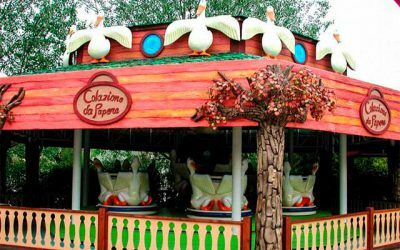 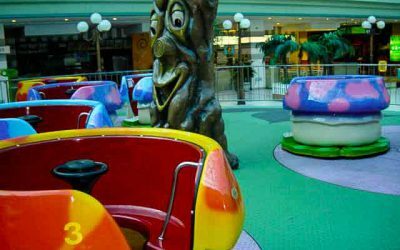 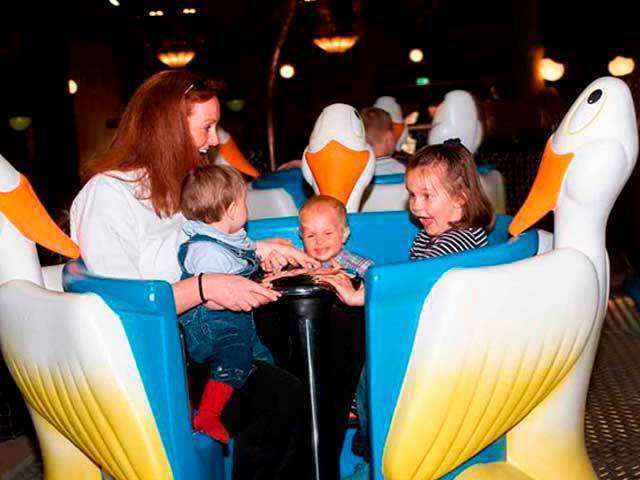 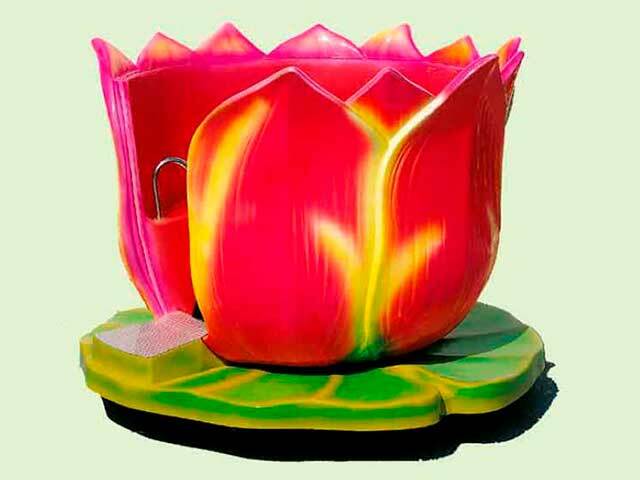 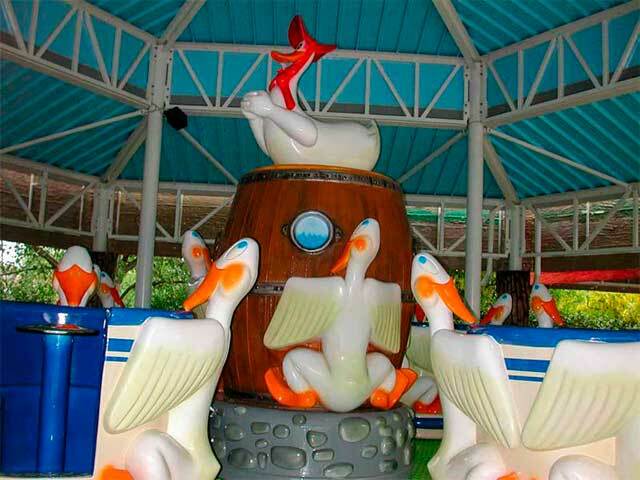 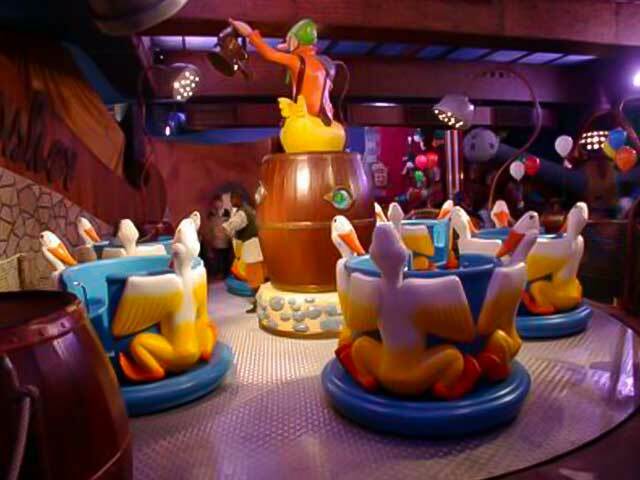 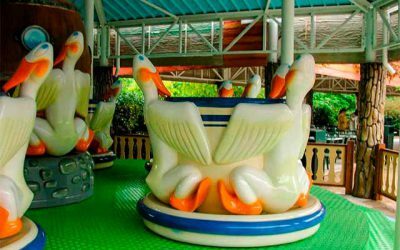 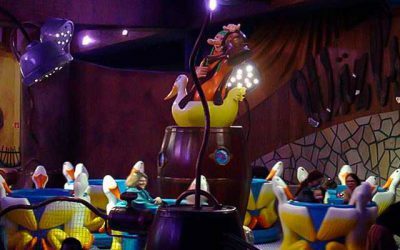 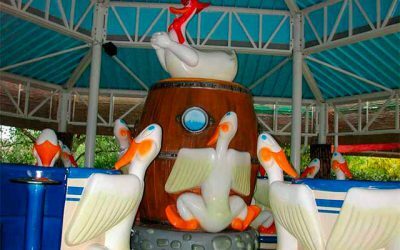 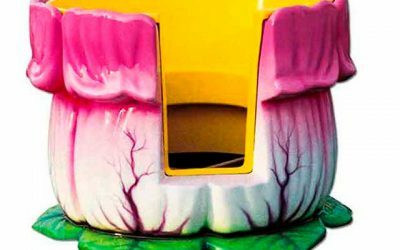 Crazy Cups (or Tea Cups) is a typical Family Ride and is one of the most traditional rides for Amusements parks. 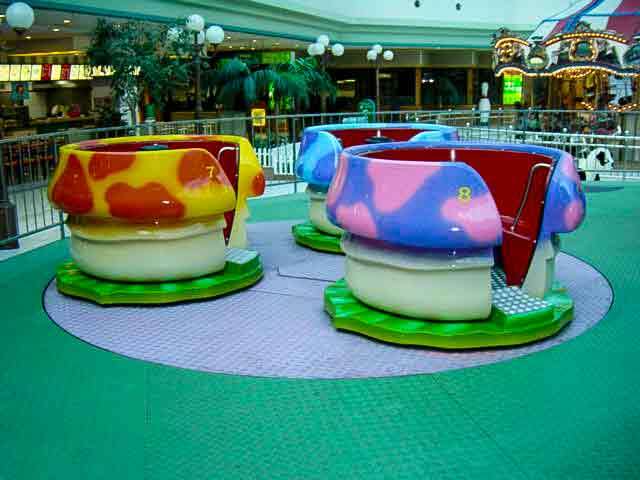 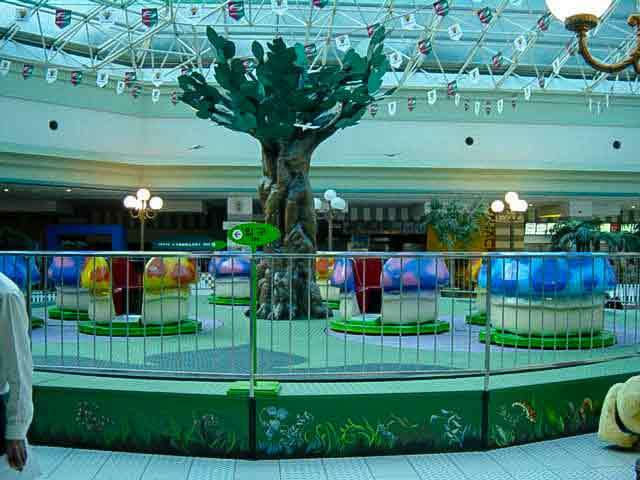 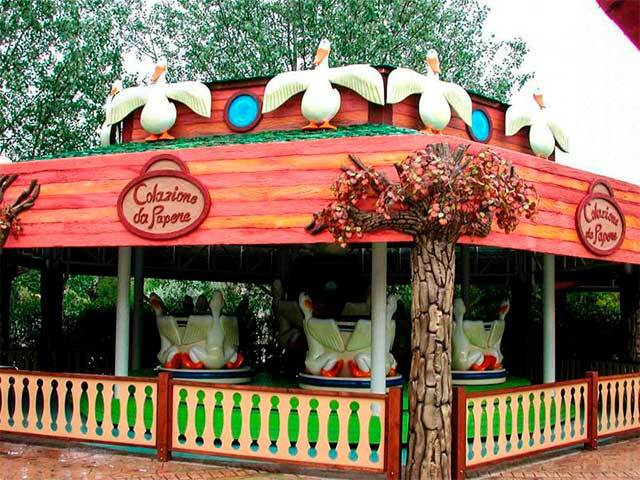 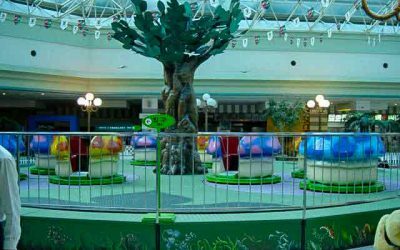 The ride structure is composed by a large 12 meters plate on which 4 smaller plates with 3 cups each are placed. 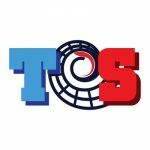 The plate rotates at a 9rpm maximum speed while the cups are hand rotated by the use of a steering whell placed in the cups centre. 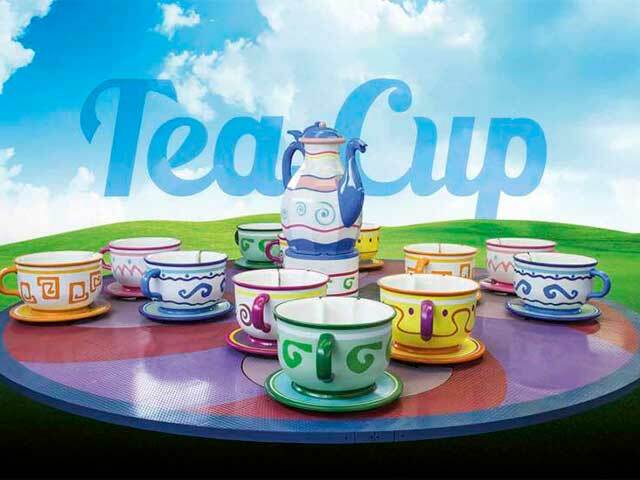 Each Cup can contain up to 5 passengers (3 kids and 2 adults). 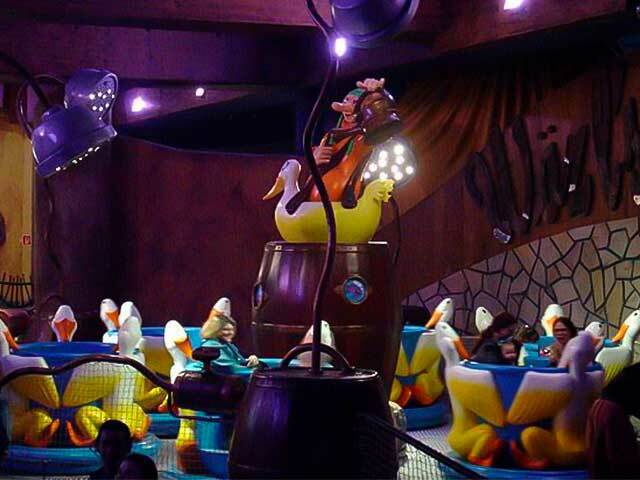 In the middle of the ride center a Central Object (Tea Pot) is placed. 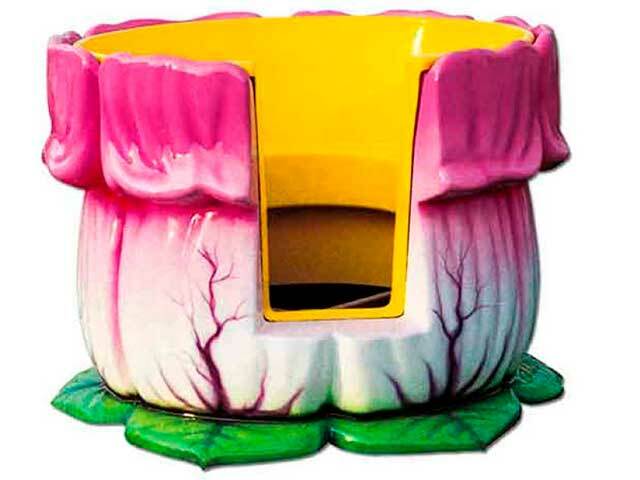 The crazy cups ride is fully customizable in every single part. 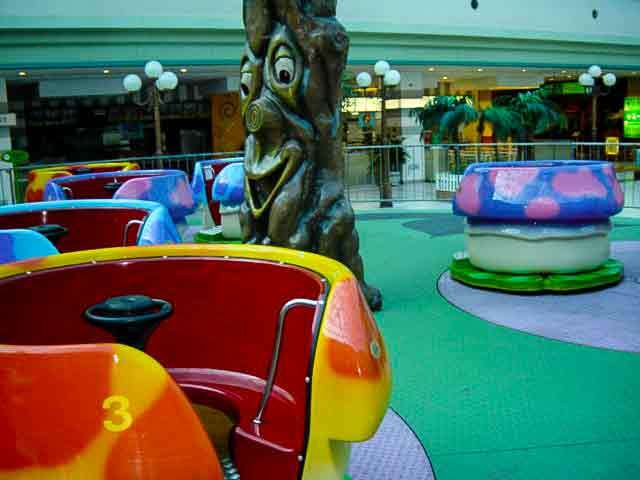 The ride doors are studied in order to avoid finger injuries and cannot be opened from the passengers. 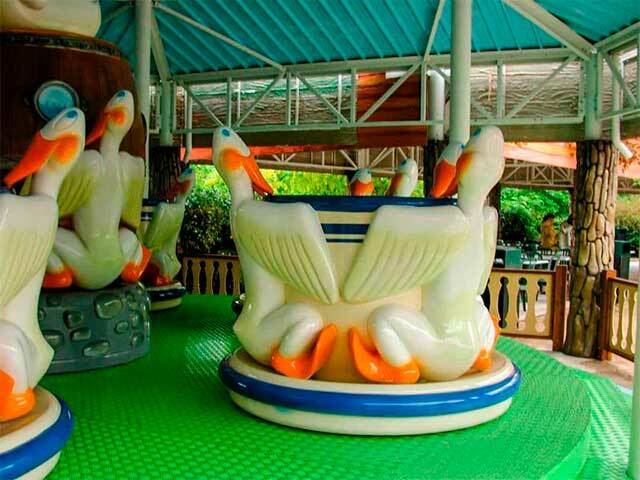 Ride cycle duration 120 sec.